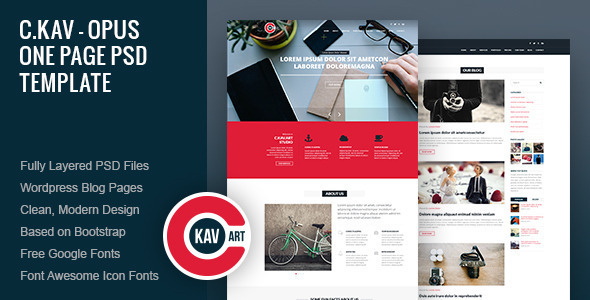 C.Kav – Opus One Page PSD Template is a clean and modern design for portfolio, agencies, creative studios or other websites. Fully customize and grouped layer PSDs with blog pages. Note : All images are just used for preview purpose only and NOT included in the final package files.